Born and bred in Cradock, Nombulelo Nxesi, CEO of the Education, Training and Development Practices (ETDP) Seta, seems to have been called, if not inspired, to become an educator, a trainer and a developer. Having graduated at Zwelitsha High School in King Williamstown, she enrolled at Fort Hare University for a BSc degree in Mathematics and Chemistry, and later supplemented these with a Higher Diploma in Education (HDE). She started her teaching career as a junior teacher at Funiwe Secondary School teaching biology, mathematics and physical science before going on to Hector Peterson High School in Zwelitsha. It was in these periurban and rural environments that she saw a need for collegiality as a must-have or effective and resultorientated teaching. "I lobbied colleagues from different high schools around the area and proposed Mathematics Wednesdays," she says. This developed into a forum of teachers teaching maths; with constant mentoring and feed-back, it began to bear fruit. Students were getting excellent results and this soon spread into neighbouring areas. Thus the programme was adopted and further extended to other districts in what was known as the Border Region.The programme made it much easier for students to obtain bursaries. While busy with these engagements, Nombulelo Nxesi qualified and wrote the International Mathematics Olympiad, coming third worldwide. Not only was she now a household name in her region, but her reputation as an astute maths and science teacher was spreading. Her sharpness had to be tested when she was assigned to be the Head of Department in one the most disadvantaged rural schools: Siyathula Secondary School in the Eastern Cape. Again she undertook this assignment with aplomb and this is what led her to be perceived as a national asset, prompting her next assignment. In 1994 she left for Gauteng to work as a lecturer of Maths and Science at the Daveyton College of Education. After a short stint in this institution, she was appointed in 1997 as Teachers Consultant for the Presidential Education Initiative (PEI). This was the brainchild of the late President Nelson Mandela aimed at promoting Maths and Science. Her tasks included co-ordinating and raising funds for maths and science education and involved having to constantly travel abroad. During this period, she established the Teachers Development Directorate aimed at overseeing and co-ordinating training and developing teachers nationwide. After this, she was appointed as the Deputy Chief Education Specialist responsible for Teacher and Curriculum Development. She was not to be kept long in this task as she was later appointed as the Chief Education Specialist, still in the Gauteng region Province. In 1999 she was promoted to National Teacher Development Director, a concept that she had conceptualised in 1997. She was in charge of this Directorate when there was still one single National Department of Education. This was during Prof. Kader Asmal's tenure, who was very passionate about teacher development. It was during this tenure that the National Teachers’ Awards were introduced and conceptualised by the same Nombulelo Nxesi. The core purpose of these awards were acknowledging excellency in teaching maths, science, early childhood education, and adult basic education (ABET). It was also during this tenure that Nxesi introduced a bursary programme aimed at assisting maths and science teachers in foundation phase. In this task ,she felt she was still furthering the dream of the late President Nelson Mandela as embodied in the PEI. Not content to rest on her laurels, Nxesi later perceived a need to assist and upgrade those teachers already in the field and underqualified. She conceptualized the National Professional Diploma in Education (NPDE). Between 2001-2003, 10000 teachers enrolled and qualified through this programme. She later conceptualised the Provincial Teacher Development Directorate aimed at ensuring that all provinces have enough teachers with sufficient content knowledge. It should be noted this was very cumbersome taking into cognisance the nature of the Outcomes Based Education (OBE) and the movement to curriculum 2004. These tasks demanded very careful manouvering given that education in South Africa is highly unionised. 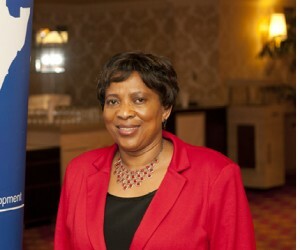 Her experience both as an educator and a SADTU activist, mostly in the Border Region, came in handy. She brought on board all the different, sometimes warring , unions including other relevant stakeholders like the South African Council Of Educators (SACE), and the Education Labour Council (ELC) to mention but a few. "Together we had to engage, reconceptualise, and recruit," she says. The engagements were very harmonious and fruitful, she adds. It is this working together that led to the Teachers Development Summit in 2002. It is also worth mentioning that Nxesi was part of the drafting and promulgation of all the legislation affecting the current education dispensation. 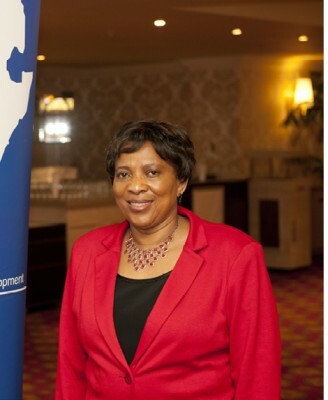 It is in 2004 that she was appointed as CEO of the ETDP Seta, bringing all this experience, coupled by her desire to study. She currently has an MA and is pursuing her PhD in Leadership with the University of Johannesburg. For Nxesi, being appointed into the Seta meant that she had to ensure that the mandate of skills development is fulfilled. Central to her vision is prioritising early childhood development, which she says is the foundation of learning, and teacher development which is at the apex of the Seta. Included in these tasks are TVET and university lectures, and other relevant constituencies. The Setas are currently supporting the development of academics in research by contributing to their masters and doctoral qualifications, with the aim of ensuring that there is a wide pool of specialists in different sectoral constintuencies. Those who know Nxesi says she does this with love and dedication. This is evidenced by the fact that this Seta has never received a qualified audit in 15 years. Above all, this Seta has a presence in all the nine provinces in the country. It is also the only Seta that has not been dissolved for the last 18 years. Unemployment is a result of the absence of skills, and Nxesi is very much aware of this. The Seta’s programmes have a special focus on unemployed youth, through internships, learnerships and co-operatives .In the last two years they have been engaged with 18 co-operatives, and she asserts that these interactions are very close to her heart. They had to forge a relationship that ensures that the recipients of their training begin to see themselves as entrepreneurs, thus they provided them with tools to make these possible. Attendees to their programmes were provided with lap-tops, desktops and other tools needed by self-starters. Nxesi is very clear that her Seta has a role in eliminating unemployment, poverty and inequality. This said, she knows that they can't afford to conflate roles; their mandate is to create a climate conducive for training to take place, and not to train people. "As a seta we have to allow training providers and other different institutions to play their role, and do their bit. Conceptualising of learnership is part of our mandate, monitoring the training, and ensuring that it takes place. Setas fail when they are not creating an environment conducive for training and are not spending their money towards this and when they are not supporting training beneficiaries to get access into workplace," she says emphatically. As an avid maths and science teacher, Nxesi might have been expected to easily perceive the gaps resultant from deficiencies in the teaching of these subjects. Thus on Mandela Day a Career Guidance expo was held in Kimberley, focusing on the three mostly rural provinces. This was a collaborative exercise with the Centre for the Advancement of Science and Mathematics Education. "Because of the challenges and the realities faced by these three rural provinces, and a meaningful presence of stakeholders,a bias towards them was inevitable," she says. Previously this was the project of the Departments of Education, but the government, impressed by what ETDP Seta’s efforts in this regard, gave them the latitude to pursue it much further. For the ETDP seta the Career Guidance Expo is both a pro-active mechanism and a future investment. "If students are guided prudently in making right career choices, three things are avoided; shortage of skills, a skills-mismatch, and the un-employability in the future," Nxesi says. And because there is connectivity in their activity, career guidance is a demand of the Sector Skills Plan which also informs the Worker Skills Plan (WSP). “We chose the Northern Cape province this year because we had rounded all the other eight provinces, and it was only fair that it goes to this province this time around, and partaking in this would be all the sectoral constituencies," she states assuredly. These include the Department of Higher Education (DHE), which was co-hosting, exhibiting Setas, various universities, colleges both private and public. As challenges, Nxesi cites the collection of contributions from Education Departments both nationally and provincially for basic education. That the funds are paid during the last quarter of the financial year is an operational headache and it makes it difficult for the Seta to carry out its task. Engagements are on with the view of ensuring that these are paid at the end of the first quarter. Other than this, the training work of the Seta is dependent on the Skills Development Levy as per the provisions of the Skills Development Act of 1999. Registered member companies of the ETDP pay a skills development levy as a percentage of their total payroll to SARS, and the Seta refunds these amounts in the form of mandatory grants (discretionary grants are not included). She asserts that with the introduction of the Seta Grants regulations, which came into effect in 2012, the mandatory grant has been reduced from 50% to 20%. On the other hand, discretionary grant spending has been on the increase with the introduction of the Grants Regulation in 2013/2014, it has increased from 10%-30%. Included in the R361 million that the Seta has received from both the national and provincial education departments is the North West Department of Culture, Arts and Traditional Affairs, which is a first-time contributor. While there are also challenges in attracting the best ICT senior specialists to the Seta, a Performance Information Management Module (PIMM) has been developed and implemented. It has been a useful tool in performance capturing and reporting, as is the Workers Skills Programme application. She is also happy that the Seta has established relationships with different chairs in universities, and this is reflective of her stance in skills, continuous skills training and development. Ultimately, she wishes people to understand that training and development are a process and not an event, and that those that partake in these processes fully immerse themselves. "Sometimes you get the feeling that those partaking in these processes are not there fully, sometimes people drop out and this stifles the full implementation of the process," she laments. The ETDP Seta is content with the work done to date, and acknowledges that there is still more that needs to be done.